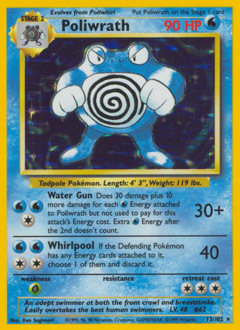 Does 30 damage plus 10 more damage for each Energy attached to Poliwrath but not used to pay for this attack's Energy cost. Extra Energy after the 2nd doesn't count. If the Defending Pokémon has any Energy cards attached to it, choose 1 and discard it.